A high-resolution radar mission to Earth's 'evil twin' Venus, a spacecraft to detect the most powerful explosions in the Universe and an observatory for the cool, dusty cosmos to investigate the origins of stars: ESA's Concurrent Design Facility has performed feasibility studies of contending candidates for the fifth medium class mission in the Agency's Cosmic Vision science programme, planned for launch in 2032. The Concurrent Design Facility, or CDF, looks like a flight control room, above the main suite of space laboratories at ESA's technical heart in the Netherlands. Interlinked consoles are ranged in front of a 6-m long multimedia wall, to host representatives of all space mission disciplines. However, this is not a place to steer satellites, but to create them. Teams of experts gather here to perform initial studies of proposed future missions, rapidly establishing their feasibility ahead of follow-on industrial development. The CDF has performed more than 250 studies to date in over 20 years of operations, including numerous missions that have gone on to be developed for space such as Solar Orbiter, Athena and OpsSat. "Concurrent engineering involves bringing together all necessary experts into a single room to work together in real time," explains Massimo Bandechhi, founder of the CDF. 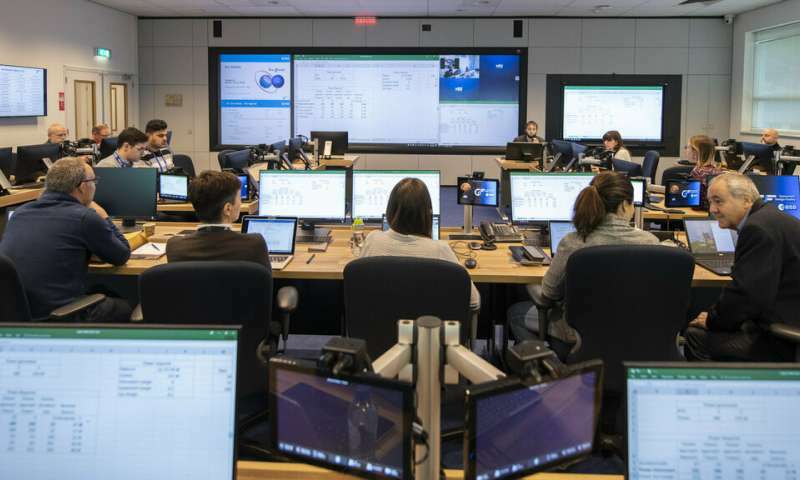 Just like a mission control team, expert representatives of all spacecraft systems come together, including structures and configuration, mechanisms, flight dynamics, power, thermal control and propulsion, as well as specialists in technical risk, organisation and cost engineering. This combined team work on a design to meet the goals of the mission within set mass, cost and time limits. "Collaboration is based on a shared software model of the mission. This model's configuration is updated as any subsystem alteration is made, showing the system-level impacts of each update to everyone at once. With all disciplines contributing at the same time and place, we tackle problems from all points of view, to turn a naturally sequential process into something more 'concurrent'." The CDF recently performed studies of the ESA Science Directorate's three M5 mission candidates, to define the mission concepts in detail and see how they would operate in practice, identify any critical technologies required to make each mission possible and analyse their likely development cost, risk and schedule. 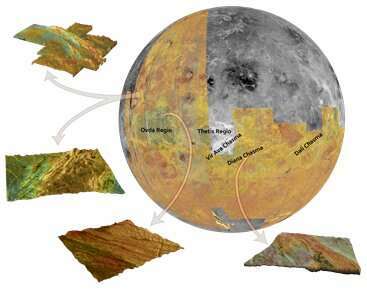 EnVision is a mission to fly a high-resolution radar system to our neighbouring hothouse planet Venus to detect centimetre-scale ground movement as evidence of present-day volcanic activity, as well as carrying a subsurface radar sounder and a suite of spectrometers to survey trace gases in its thick, toxic atmosphere. The CDF study found that Venusian conditions hold consequences for the main instrument design: the radar frequency was chosen to minimise interference from phase-shifting sulphuric acid droplets in the atmosphere. The study considered chemical and electrical propulsion options for the spacecraft, and looked into how EnVision could take advantage of its Venus's atmosphere to aerobrake into orbit. The spacecraft would need to take account of the higher temperature of Venus orbit – twice Earth normal – with black paint, 10-layer multi-layer insulation wrapping, heat pipes and optical surface reflectors. Thermal issues were raised for the mission's ground segment as well, with cryo-cooling proposed to maximise antenna sensitivity for enhanced retrieval of mission results. EnVision is being studied as an ESA mission with significant contributions from NASA. 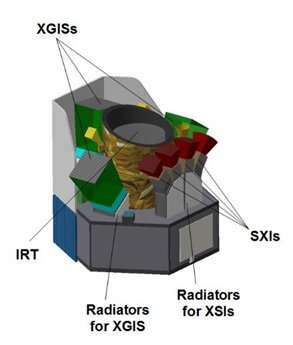 Theseus, an acronym for Transient High Energy Sky and Early Universe Surveyor would detect X-ray and gamma-ray sources across the entire sky. In particular, Theseus is designed to achieve a major breakthrough in the discovery of Gamma Ray Burst (GRBs) at cosmological redshift scales. These massive explosions from distant galaxies are believed to be caused by the collapse of supermassive stars from the first billion years of the Universe, offering insight into the very first generation of stars, and by the merging of neutron stars – the latter type of event also producing gravitational waves. 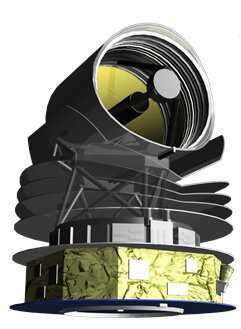 Theseus would carry an infrared (IR) telescope, a soft X-ray imager and an X-ray and gamma (or 'y-ray') spectrometer. 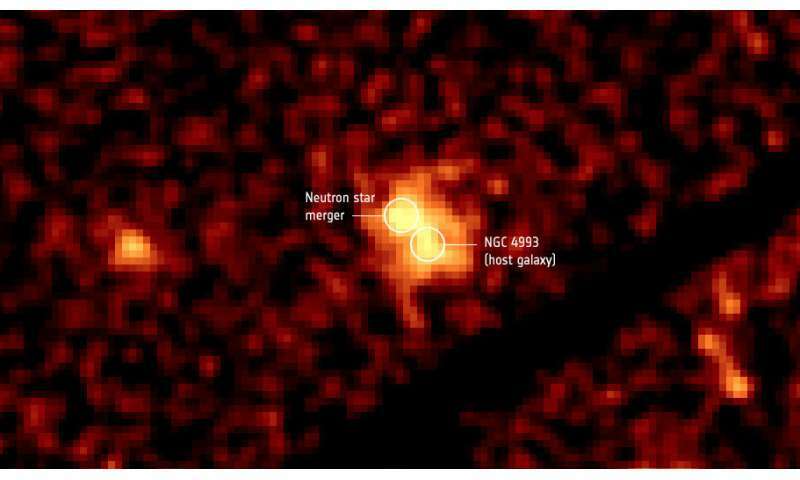 By swiftly locating each new transient high-energy source within the infrared telescope's field-of-view – to a baseline of less than 10 seconds – Theseus will be able to characterise the properties of the host galaxy where the GRB occurred – and most importantly its distance. The CDF study placed it in near-equatorial low Earth orbit to maximise its contact with ground stations – allowing it to raise the alert rapidly for follow-up terrestrial observations. It would orbit at sufficiently low inclination to minimise radiation exposure from the South Atlantic Anomaly, a kink in Earth's protective magnetic field. Spica is a joint European-Japanese project offering significant improvement in far-infrared spectroscopic and survey capabilities, able to peer through the clouds of dust that typically obscure the sites of star birth. It would operate from the second Earth-Sun Lagrange point – 1.5 million kilometres away from Earth in the opposite direction from the Sun – with a 2.5m-diameter actively-cooled telescope. The CDF study included analysis of how Spica would benefit from the technological heritage of ESA's Herschel and Planck missions as well as on the attitude control systems needed to slew between its astronomical targets. Options were also given for the mission's onboard data storage, communications system and ground segment, to return its findings to the ground. All three studies aimed to minimise the use of new technology and maximise commercial off the shelf parts, for the best combination of cost and risk. With the feasibility of all three mission concepts established, they now proceed to parallel industrial contracts, to produce detailed designs for future down selection.